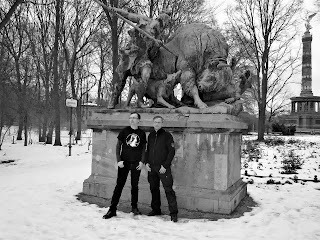 Welcome to my blog on neofolk, martial and post industrial music. The purpose of this blog is try and take a scholarly look at the genre, but also combine it with my own musings and observations. I am hoping to take analysis a step further and examine the cultural, artistic and historical contexts the bands in the scene operate from. My hope is to try and legitimize this music from the obscure into something noteworthy. Indeed it must be a good morning here on the west coast of America, but the world isn’t necessarily sick right now, but I sure am, having been fighting a cold since Friday. 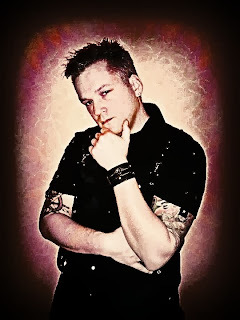 And as this day starts the news that I – your humble servant into understanding the dark recesses of the neofolk world - must break to you is a first for the Heilige Tod blog, an interview! This is the first interview I’ve done with a professional musician in a long, long time. I really want to do more of these for this blog, not just to help promote the musicians making the music, but also to get straight from the horses mouth questions about the scene and its music in general. This blog is about understanding the neofolk and martial scene, and the best way to do that is simple: just ask the creators! 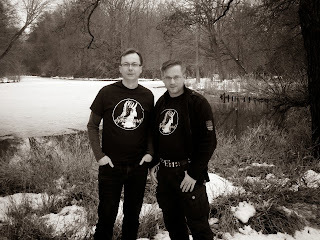 Despite the brooding subject matter, the air of the mysteriousness and the extreme nature, the actual artists and musicians behind martial-industrial and neofolk music are quite approachable and gregarious, eager to talk about the music that is important to them while engaging in dialog with their fans and supporters on social media. Sven Phalanx is one such affable musician. Sven is the driving force behind the Schattenspiel project, a fairly young project which has been gaining much momentum and prestige since its inception. 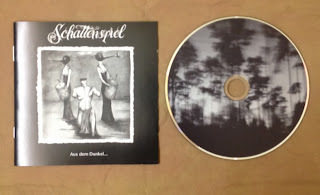 This past summer Schattenspiel released a new album called Aus Dem Dunkel..., and a few weeks ago made available a Best of and Tribute CD called Licht und Schatten – The Best of Schattenspiel. 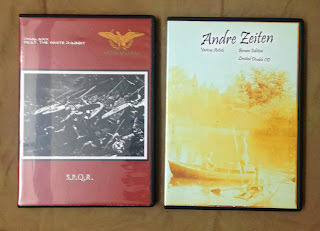 To celebrate these two releases while at the same time learning about Sven, Schattenspiel, and neofolk/martial music all together, Sven has graciously allowed me to interview him via exchanged emails. 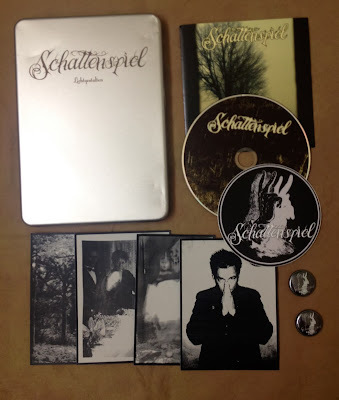 Schattenspiel is still a fairly young project, with the first releases emerging in 2010. However prior to this, a proto-Schattenspiel existed in the form of Phalanx feat. The White Rabbit. Phalanx feat. The White Rabbit was only active for a little over a year starting in 2009, and while it burned short, it burned bright with many compilation appearances and split releases being created. Q: Discogs.com doesn’t list any projects before “Phalanx feat. The White Rabbit”. Was this your first project? If not, what were you involved with before? 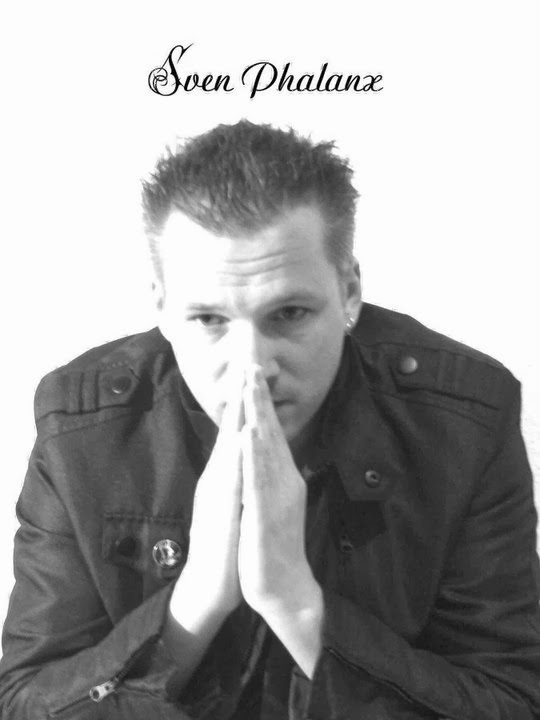 A: “Phalanx feat The White Rabbit” was my first official music project. I had previously made ​​music that was not published and have only heard a few good friends. Those were mostly songs for small parties or background music for short films. Q: Who is the White Rabbit from “Phalanx feat. The White Rabbit”? A: The White Rabbit is a good and long time friend of mine. We have decided to start this project together and we then complemented each other well, as we had many common interests and influences. Q: Why the shift in style from EBM to Ambient and Neoclassical? Q: Many of the releases for Phalanx feat. The White Rabbit were released as free downloadable tracks on the Bulgarian Abandonment net label. Why did you go this route of release many of your tracks? A: Especially at the beginning, it was a good thing to publish with Netreleases. With Abandonment I had found a label that quickly and easily has uploaded my split CDs to his page. First of all, I wanted to find myself and develop in music, which made Netreleases the best way and decision. Q: For a project that only existed a year, you were involved with many split CDS with other artists, such as Kristus Kut and Hrossharsgrani. How did these collaborations come about for such a neophyte project? A: The many collaborations and split CDs were just the beginning of a good thing. I have met many new people, collected valuable experience and made ​​interesting acquaintances. It was a good time, but I then realized that all of this had been too much and the quality of the publications had already suffered. Q: Of the Phalanx feat. The White Rabbit era of your portfolio, what songs do you recommend others to check out? A: Which split Cd's I can recommend from this period are the so called Masturbation Sessions with Kristus Kut. This was a very interesting project and it was released in three parts. I still play with the idea of ​​continuing this series at some point in a somewhat different form. Q: What songs are you not so proud of? Q: Unfortunately, some of the net releases of Phalanx feat. The White Rabbit (such as material released by Notariqon). Will this material ever become available again? 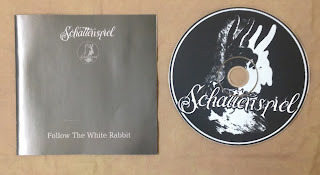 A: The EP, which was released on Notariqon, is contained in a slightly altered form on the re-release of the first CD Follow The White Rabbit as bonus material. Schattenspiel proper began in 2010 and so far has amassed a few albums along with an impressive amount of appearances on various compilation samplers. Much like Phalanx feat. 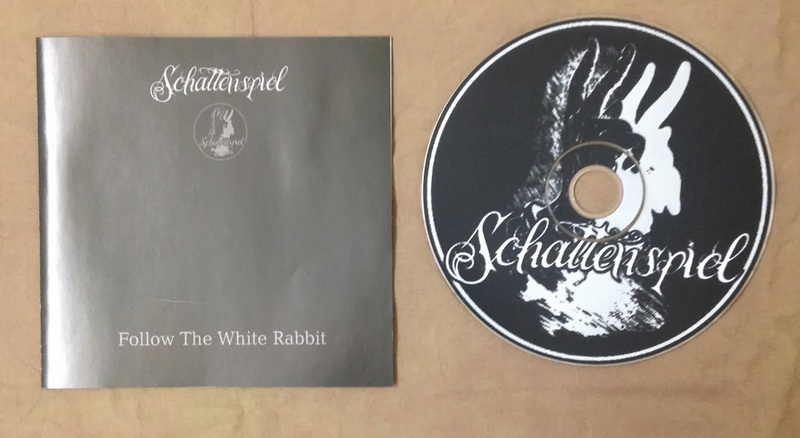 The White Rabbit, Schattenspiel releases are also peppered with many collaborations with other artists in the scene, fostering not only a sense of comradeship, but also keeping the music varied and interesting. Q: Why the need to change the name of the project from “Phalanx feat. The White Rabbit” to “Schattenspiel”? Q: Who designed the Schattenspiel logo? A: The logo has Igniis, a fellow musician and guitar god from Argentina, designed. He is simultaneously also a tattoo artist and he had fortunately agreed to design a logo according to my ideas. This logo should reflect the band's name and I like the ambiguity in the logo, because one can see in the shadow of a white hare, or the image of the devil ... just as much in life has a double meaning and it always is in the eye of the beholder. Q: Does the name “Schattenspiel” have any meaning? Why chose this name? A: The name Schattenspiel means in the English Shadowplay. I have chosen this because it allows plenty of space for visual designs and the shadow play for me symbolically stands for the everlasting fight between light and shadow. Q: Why did The White Rabbit leave Schattenspiel? Q: What other bands and musicians have had a direct impact or influence on Schattenspiel? Q: For someone new to Schattenspiel, what release and what songs would you recommend they start with and why? A: To all new listeners I suggest the Licht & Schatten CD. It's a Best Of and Tribute double CD, which shows an interesting cross-section of the last 5 years. Q: Lichtgestalten saw two versions being release, one of them being in a rather nice tin case with buttons and cards. However this appears to be your only release done so ornate. Any plans for another other special releases like this? A: The Lichtgestalten box was really a great thing! However, something is always associated with high costs for a label. But I hope that it somehow could be repeated. Q: Three years as Schattenspiel you now have a “best of” and a “tribute” album in the form of the (currently free) digital album Licht und Shatten – The Best of Shattenspiel. Why have such an album with a project that is still fairly young? A: It has already been 5 years, including the time as Phalanx feat The White Rabbit. Between 2008 and 2013 I have released 5 studio CDs and for the 5-year anniversary, I wanted to release a Best Of and tribute CD, on which I have revised some old songs new again. We also have added many vocals, samples or additional instruments to the old songs, so that it actually is a real new album. Furthermore, Licht und Schatten contains some still unreleased songs from the upcoming album. This CD will be 3 months for free download, as a small thank you for all loyal listeners. Then there will be this CD as pressed edition with a bonus EP. Q: With Schattenspiel – what are you trying to accomplish or what are you trying to over all convey to your listeners? Q: From 2010 to 2011 there was a serious of internet only compilations under The Seven Deadly Sins moniker and you appeared on everyone one of them along with other projects you’ve frequently collaborated with. Did you have a hand in these compilations? How come they are not being continued? A: The compilation series The Seven Deadly Sins had been my idea.I wanted to create a platform where musicians know each other from all over the world and can connect. However, this project, the planning and implementation was very time consuming and exhausting. I'll surely make more compilations in the future, but probably not in such large proportions as it was with The Seven Deadly Sins. 2013 appeared Au Bout Du Monde, our Jules Verne tribute compilation, which was designed in collaboration with Lionel Verney. Q: You use a lot of samples in your music. Why? What do you feel sampling brings to music? A: I think the samples can give the songs depth and density and thus also a certain mood is created. The interaction of one's own voice, accompanied with various samples, is a beautiful sound collage to me. 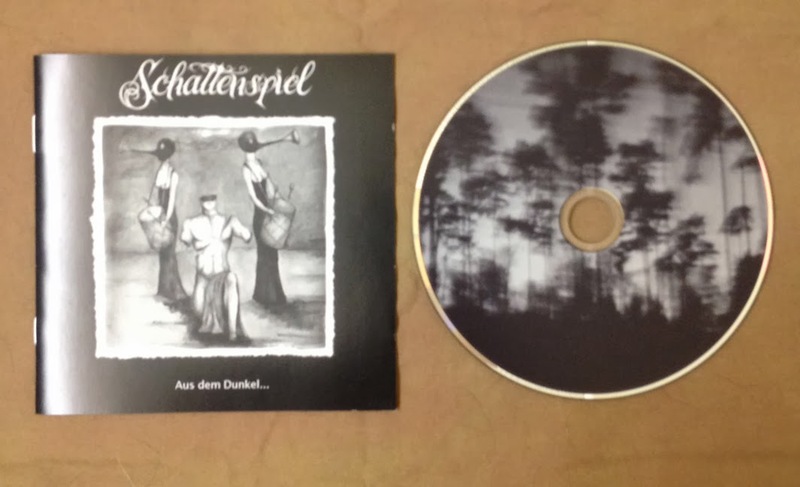 Aus Dem Dunkel… is the newest Schattenspiel album of completely new material released in the Summer of 2013. A review of the album proper will be forthcoming in the future, but for now we can have Sven elaborate on this well done album himself. Q: You have some collaborators on this album that are very new to the scene and fairly unknown: Miss Kitty, Acta Non Verba, and Stahlplanet. Could you introduce us to them and tell us about them? 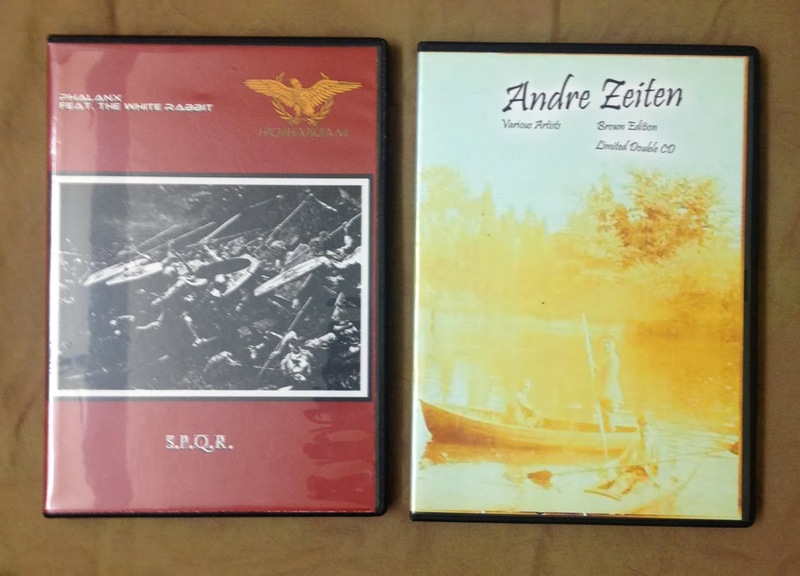 A: Acta Non Verba and Stahlplanet are two artist friends from Germany who I met during my time at the label Dead Beat Masters and appreciate and who already had one or the other publication on Dead Masters Beat. Miss Kitty is my wife, who takes over the female backing vocals for Schattenspiel and also wants to work on a couple of her own songs in the coming year. Q: This release has the full membership of your brother Lionel from Verney 1826. You also appear on many Verney 1826 releases. As siblings, how does your musical partnership work and what do each of you bring to each others projects? A: With Lionel I have a long-term cooperation. We have from time to time made several songs together in the past and already released a split CD. We develop our ideas, talk about it. Then one of us begins with the first notes, shows them one another ... and we just usually have the same brilliant ideas and the work on the song continues. Q: If there one, what is the over all theme or story to your Aus Dem Dunkel… album? A: With Auf in den Kampf! begins the journey of our protagonist. As for many generations of the early 20th Century, is the war the starting point of his life . Hardly the golden years of youth behind him, he already gets the marching orders. Our hero follows enthusiastic and full of zeal. But on the "Western Front", it is soon the first disillusionment. The days and nights in the trenches stretch into weeks and months. Only the "Trommelfeuer" of enemy artillery batteries interrupts the nerve-wrecking wait, so it is no wonder that "Todesahnung" deranged his heart. Contact to family and friends is hardly possible, and eventually even the memory of his sweetheart appears like a fading dream. Many, far too many comrades are killed ("Der Vorhang ist gefallen"). It is a lonely resting place, far from home, to lie in cold soil or in a cold sea ("The Grave at the Bottom of the Sea") . Soon he is close to giving up his inner struggle, when one evening the west wind voices and singing snatches from the enemy camp wafts to him: "We shall fight". At an abandonment is no longer to think of. The war is drawing to a bitter end. In captivity he hears one day the immortal poem "A Thought - Flower", which gives him comfort and hope. When he returns home after the war, his first thought is devoted to the loved ones in the hometown. The reunion is overwhelming, but a few agonizing weeks later, both have to admit that too many things have changed in her life. The war has not only destroyed lives, he has also left a cold heart. As both their masks ("Masks") drop, the final separation is unstoppable ("To the Ocean"). The next day, our protagonist wanders aimlessly searching through the streets of his city ("Good Morning Sick World"). It will take a long time until he can overcome this latest shock. Q: With titles like “Western Front”, “Two Nations”, and “We Shall Fight”, there seems to be a combat element in some songs. Can you elaborate? A: One should consider these songs not individually, but must see the whole CD, because it tells a story and thus are these songs in a whole new context. The story that goes into the album, I have answered in detail with the previous question. Q: One of the best songs on this album is “Good Morning Sick World”. It’s rather catchy and poppy while at the same time being quite melancholy. Anything you want to share about this particular track and its meaning for you? A: Thank you, Nick! : o) I personally love this song and it has become for me a kind of anthem to start the day. Q: The cover art of Aus Dem Dunkel… is interesting. Two beings with trumpet heads and playing drums definitely convey a martial image, but the amputated man in the foreground conveys an extreme image. How do you relate this cover to this album? A: The wonderful graphics of the Chilean artist FDO016 seemed appropriate to the thoughtful and at times dark theme of the album. The inner conflict of the album's protagonist who must repeatedly literally come "Aus dem Dunkel" (out of the darkness) in order to find himself, is indeed profound, but aptly illustrated here. Q: For all of your albums, how involved are you in their design (artwork, typeface, layout, etc.)? A: Since the Aus dem Dunkel… album Lionel Verney is responsible for the design and implementation of designs, whereby we will discuss each step together and discuss very long and intense about the cover motifs. Our labels then do the fine-tuning and adaptation to the artwork of the manufacturers/illustrators. Q: Taking all your cover art into consideration – they are all very dark and mute in colours. Lack of blues and reds. Was this intentional? A: Not originally, but we have noticed that the selected cover and their colors have ultimately always fit very well with the music. Q: Post Aus Dem Dunkel… what are your next projects and next collaborations? A: Recently, the Best Of and Tribute CD Licht und Schatten was released. Other plans do not exist at the time. However, we already have been working on new songs and if everything goes as planned, there will again be a new album in the summer of 2014, which has the working title of "REvolution." As part of the neofolk and martial industrial scene, Sven is able to provide some insight not only his music and process, but act as a vessel to understanding a little bit of the genre itself. The neofolk and military pop genres are fairly enigmatic, so the insight Sven brings is just one piece of the puzzle, but a stepping stone none-the-less. Q: You’ve done many collaborations with Barbarossa Umtrunk. How did this relationship come to be? A small sampling of the many collaborations between Barbarossa Umtrunk and Schattenspiel. First there is the split CD La Couronne De Glace between the two bands proper (CD provided from Michele Brittany's private collection - note the stately autograph). There is also the split CD La Clairiere Des Eaux Mortes between Umtrunk and Pale Roses in which Schattenspiel makes an appearance on the track "Gwer Nemeton". 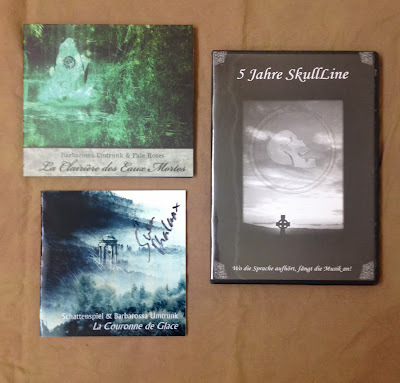 Finally, from this picture, Umtrunk and Schattenspiel both worked together on the track "Vive Le Quebec Libre" on this 5 Year Anniversary sampler from the Skullline Label (both these CDs are from my private collection). Q: What is your creative process when you begin composing? Does the music come first or the lyrics? A: Mostly starts the whole thing with the melody that you have in your head and trying to implement it then. Then the lyrics are written to the melody. You sometimes have a topic that you want to set into music and have already a few lyrics in my head ...then it's the other way around. Q: What equipment and software do you use when creating music? A: I work with various music programs, as for example Cubase or Fruity. In addition, we also try to make up music with live instruments, especially in case of a stage performance. But nothing fixed yet, we do not rush and wait for a suitable offer. Q: What do you think makes Schattenspiel a successful project? But seriously, I think that it is especially important that you make the music in the first place with a passion and not just want to be a shooting star..
Q: Why have you gotten into this genre of music anyways when there are other genres out there that may have called to you? A: [Lionel] It was from the beginning so that melancholy music has addressed more than other music. Even as a child: If the music had a certain melancholy mood, I was immediately caught in her spell. Hence my own music was never happy and in the dark music scene I had felt at home from the start. A: [Sven] I have been to many different scene at home before it has driven me ultimately in the black scene in which I am now for years and feel comfortable. When you hear the music of Schattenspiel, you're going to a lot of styles and influences, including those from other musical genres, see: electronic, classical, noise, pop. In principle, we both have a pretty open-minded taste in music what is reflected in our wide range of songs. However, common to all the songs is a rather minor-heavy, melancholy mood. Q: What bands or musicians have you not worked with but would love to collaborate with? A: I would like to do once a song with Andreas Fröhlich, a German Synchro speaker. His voice has accompanied me through my childhood and youth, and it would be a great honor for me if he lends his voice to a Schattenspiel song. I also think the voice of Elli Riehl is very interesting. Q: How do your collaborations occur? A: First, I am looking for musicians whose music I personally like or I think the style Schattenspiel matches. Then we'll agree on a topic and begin to gather ideas. Eventually, the musical end product arises. Q: Has there ever been a collaboration that was sour and you would not collaborate with again? A: So far I had fortunately mostly positive experiences with collaborations. It is an asset and if it goes well, you draw your inspiration of the collaborations partner. Q: Since you collaborate with so many other artists – how do these collaborations work, especially with your partners being spread in other countries? A: That's the nice thing about the new digital world ... you can work quickly and relatively easy with artists from around the world. I am preparing a few tracks first, then send it to my collaboration partner, who produces his ideas and sets it to music and then send it back to me. The whole is then sent as long back and forth until the song was completed and you are satisfied with the result. Q: Why do so many artists in the neofolk/military pop/neoclassical/etc scene use Facebook and not have a website themselves? A: An own website is combined with lots of cost and labor. On Facebook there is the possibility to stay in contact with many people, musicians, labels, etc. I must admit that I personally do not particularly like Facebook, but one has almost no other option than to have an account there. But for musicians it's a bad medium. There was at that time MySpace much better! But unfortunately MySpace has made some wrong decisions and destroyed itself. Q: What issues and misconceptions do you feel face the neofolk/martial scene? A: I'm afraid I can not allow to make a judgment about other people, and certainly not over a whole scene. But I do miss the "good old times" a little, where it was mainly about the common love of music. When I see how the scene is now eaten from the inside out by strife and jealousy - that makes me sad. Q: A political question, but labels of Far Right are often applied to the neofolk and martial scene. Have you yourself encountered any Far Right elements? If not, why do you think the scene draws such labels? Q: Has anyone actually accused Schattenspiel of being Far Right and if so how did you react? A: I've always said that Schattenspiel is not a political project and I dissociate myself from it. So far I've got no complaints, which shows me that the listener exactly know it is not a glorification of some ideology with my music, but we usually deal with issues that have nothing to do with the war theme. Or (as in the case of Aus dem Dunkel…) does not glorify the war and ideology, but look at it from a different side and criticize. Q: Many consumers of music turn to purchasing digital copies of music (iTunes, amazon, etc.) instead of buying physical copies of music. Has this mentality had an affect on you or how you release music? A: I must confess that I am not really engaged and befriended with the digital media. But I presume that this is an issue in our society, more and more and you will not get past it. Q: Do you believe the physical format of music is a dying medium in the age of digital versions? Q: What can encourage someone to buy a physical release instead of a digital release? A: One can try to arouse interest in a physical publication, by adding interesting bonus items, such as f.ex.. an EP with additional songs, patches, postcards Generally, however, you should focus on the quality of the music. If the music is uninspired, I cannot convince anyone to buy them, regardless of whether, in digital or physical form. Q: Since the very late 1990s and early 2000s the amount of groups operating in this neofolk/martial scene has greatly increased. What do you think was the catalyst to cause so many bands to form? A: I presume this is partly due to the fragmentation of two music scenes, the Gothic / Dark Wave and the metal scene. Elements from both scenes formerly strictly separated are fused in the Neofolk / Martial scene to a then brand new and own mixture. New style elements are still coming along. And certainly the cost factor is very important. I don’t have to sell the house, yard and family to afford the necessary equipment for making music. I also need not necessarily an expensive recording studio to accommodate music. By eliminating these inhibitions many people start in a career as a musician has been facilitated. A final series of questions about Sven himself. Q: What advice to you have to give to other aspiring musicians? A: For all artists, it is important that you do that in the first place, what one pleases. I have met, in recent years, many young and talented musicians who just wanted to be famous and thought that they will get everything easily – money and women. And when they realized that this is not the case, they just lost the interest in. Q: Where do you draw your inspirations from? Religious, occult, history, films, etc..etc..
A: I take my inspiration and ideas for new songs from my environment. I work with the music which touches me. In addition, I’m also inspired by people like Jules Verne or Edgar A. Poe and good movies. Q: What other musicians or bands do you hold as your idols, that you may seek to emulate or be inspired by? A: A true idol that I want to imitate… no, that is not existing. Each person is an individual and should find and develop his own personality and style. Q: As siblings, how do you and Lionel settle any differences when it comes to collaborating? A: Until now, Lionel and I had no conflicts whatsoever. He's like a brother to me and I often have the feeling that we are kind of soulmates. Q: Aside from Schattenspiel, what else do you do? Do you have a job or another hobby? I’d like to extend my sincere gratitude to Sven Phalanx for allowing me the privilege to conduct this interview, and also to Lionel for his input on a question as well. I hope this interview generated interest into the casual reader to check out Schattenspiel. With an entire free tribute and best of album available, the venture is certainly worth it. Please see the links below to find available Schattenspiel content to sample. 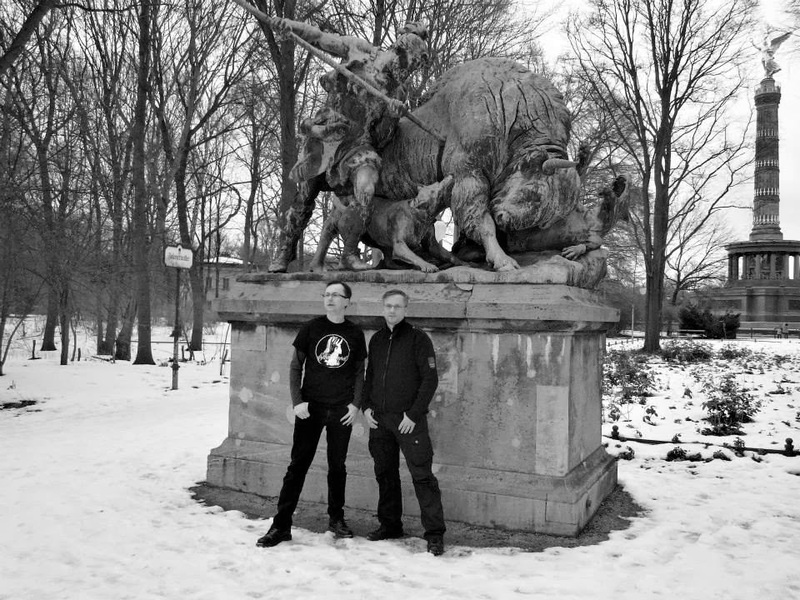 Many of the answers Sven provided were statements I had not anticipated, such as the fragmentation of the gothic/darkwave and the metal scenes (something that was not visible to an American such as myself). This opens up a whole can of worms that I want to explore and I am gracious for Sven for pointing me in this direction. I whole-heartedly support Sven and Schattenspiel, and want to extend my appreciation to Lionel and his project Verney 1826. I hope to have them grace the pages of this blog again in the future with reviews and more interviews. If any other artists that approve of how this interview was conducted and would like on themselves, feel free to contact me! Thank you once again Sven!